Their BFF banter is the best! 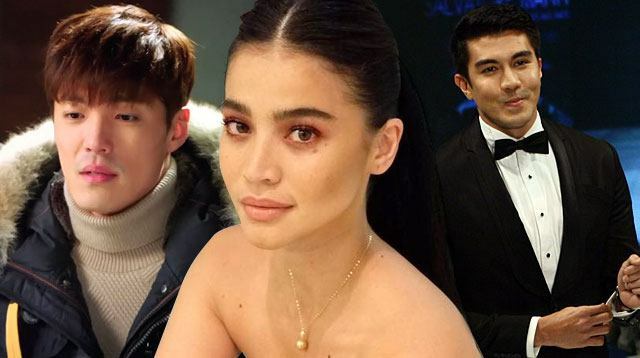 Anne Curtis' name is now synonymous with "K-drama addict." LOLJK! But, really, there hasn't been a local celeb who's been as vocal and unashamedly proud to be all-consumed by all things Korean other than Anne, and we love her all the more for it! She's been binge-watching their TV shows and movies for a few months now, and has been tweeting on the reg about her current obsessions. One of the most recent K-dramas the Kapamilya actress finished is the rom-com Weightlifting Fairy Kim Bok Joo (my personal fave, tbh). Apart from posting about how "sweeeg" she is, she also made this not-so-random comparison that her real-life bestie Luis Manzano looked like K-Drama actor Lee Jae Yoon (who played the second lead Jung Jae Yi in the show). When your guy best friend looks like Jung Jae-Yi. ???? Sans the scruff and with his prominent chin, we have to admit that Luis does look like Lee Jae Yoon!